How much IPv6 address space should a residential customer get? Year after year, I’m amazed by the amount of information you contribute in your comments and the previously unexplored paths you’re showing me. Thank you all! In the DMVPN webinar you discuss OSPF design and configuration. However, Cisco design guide says you should use a different routing protocol from what you use on your LAN but you seem to suggest it is okay to extend your OSPF network out to the DMVPN edge by continuing to use OSPF albeit in a different area. The main issue you face when running OSPF over DMVPN is scalability: OSPF does not scale as well as other routing protocols when used over DMVPN. If there are two core routing switches and two access switches which are MLAGged together in both directions, and hosts that are dual-active LAGged to the pair of access switches, then the traffic would stay on whichever side the host places it. He also opened another can of worms: load balancing in MLAG environment is dictated by the end hosts. It doesn’t pay to have fancy switches that support L3 or L4 load balancing; a stupid host implementing destination-MAC-address-based load balancing can easily ruin your day. There are numerous reasons you might want to implement MPLS/VPN technology in your enterprise WAN; in most cases you have to provide local or end-to-end layer-3 isolation between different groups of users. The “When should companies consider building MPLS networks into their WANs?” article I wrote for SearchEnterpriseWan lists a few of the scenarios (Himawan Nugroho’s blog describes another case study). If you’re looking for in-depth use cases, technology overviews and sample (working & tested) configurations, register for my Enterprise MPLS VPN Deployment webinar. GigaOm published two interesting articles by Joe Weinman: in the first one, he describes why pay-per-use residential broadband Internet is probably inevitable, in the second one he predicts changes in user behavior if the service providers decide to implement it. I would also suggest you take time and read his in-depth Market for Melons article. Obviously, collecting money costs money and the pay-per-use model is no exception (not to mention that most people would pay less), so the service providers prefer usage caps. There are numerous ways to implement usage caps, but implementing usage cap as an acceptable use policy and calling exceeding the cap policy violation is not the way to do it. Some people are truly trying to alienate the users. [Worse] is when people start claiming to have expertise in IPv6 and promulgate this idea of residential /56s and /64s as immutable fact. The reality is that it is becoming more and more apparent that /56s and especially /64s to residential customers are going to be harmful to future innovation in IPv6. DHCPv6 relays and SLAAC/DHCPv6-RADIUS integration. As always, attendees of past webinars can download the updated materials immediately and will get access to the new recording after the next week’s session. Transforming parallel links into a single logical link bypasses Spanning Tree Protocol loop avoidance logic; all links belonging to the port channel can be active at the same time (see also: Multi-Chassis Link Aggregation basics). Load sharing across parallel links in a port channel increases the total bandwidth available between adjacent L2 switches or between routers/hosts and switches. Ethan Banks wrote an excellent explanation of traditional port channel caveats (proving that 1+1 sometimes does not equal 2); things get way worse when you start using Multi-Chassis Link Aggregation due to hot potato switching (the switch tries to forward packets toward destination MAC address as soon as possible) used by all MLAG implementations I’m familiar with. When IESG decided to adopt SIP, not TUBA (TCP/UDP over CLNP) as IPv6, a lot of people were mightily disappointed and some of them still propagate the myths how CLNP with its per-node addresses would fare better than IPv6 with its per-interface addresses (you might find the writings of John Day on this topic interesting and Petr Lapukhov is also advocating this view in his comments). These views are correct when considering small-scale (intra-network) multihoming, but unfortunately wrong when it comes to Internet-scale multihoming, where CLNP with TCP on top of it would be as bad as IPv4 or IPv6 is (routing table explosion due to multihoming is also one of the topics of my Upcoming Internet Challenges webinar). Quite a few old-timers (I’m definitely one of them) lament the glory days of VMS, DECnet Phase V and CLNP, but while CLNP was a viable alternative for the next-generation IP in 1993, it would fare worse than IPv6 today. You’ve probably heard about the recent peering dispute between Level-3 and Comcast ... and might have enjoyed the frenzy with which the blogging pundits have followed the false net neutrality scent left by Level-3 spin doctors. Facts first: Level-3 is trying to dump huge amount of data into Comcast’s network for free. This set of links is somewhat different: they all deal with IT, but mostly with non-technical part of it. Kevin Bovis @ Etherealmind continues a series of great insightful articles with Network Design – Creativity and Compromise. Must-read for anyone striving to be involved in network design. The IT Disconnect by Tom Carpenter tackles one of the fundamental IT issues: we’re too busy dealing with our problems to focus on the problems of those paying us to deliver the service. Chuck Hollis is describing stupid approaches customer use to structure their RFPs. If you were ever working for a vendor or system integrator, you’ll find it hilarious. Alexander sent me a very valid question: “Do you cover scalability problems in your DMVPN webinar” (register here). Of course I do, more than half of the webinar is devoted to them. Last week I posted an interesting challenge: what happens if you configure route summarization in a Phase 2 DMVPN network? The only response came from an anonymous contributor strongly suspected to be a routing/DMVPN expert working for a CCIE-related training company. Everyone else obviously found the question too trivial ... or too obscure, in which case it could be a good idea to join us at the next DMVPN: From Basics to Scalable Networks webinar. The anonymous responder was somewhat cryptic, so let’s do a step-by-step explanation. We’ll use a simple 3-router network; C1 is hub, R2 and R3 are spokes. A while ago John McManus wrote a great DSCP QoS Over MPLS Thoughts article at Etherealmind blog explaining how 6-bit IP DSCP value gets mapped into 3-bit MPLS EXP bits (now renamed to Traffic Class field). The most important lesson from his post should be “there is no direct DSCP-to-EXP mapping and you have to coordinate your ideas with the SP”. 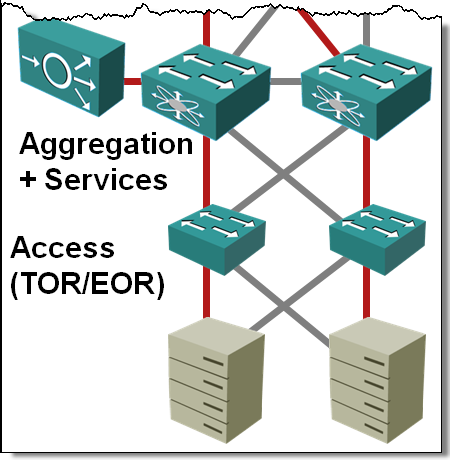 Let’s dig deeper into the SP architecture to truly understand the complexities of this topic. We’ll start with a reference diagram: user traffic is flowing from Site-A to Site-B and the Service Provider is offering MPLS/VPN service between PE-A and PE-B. Traffic from multiple customer sites (including Site-A) is concentrated at SW-A and passed in individual VLANs to PE-A. The best answer I’ve heard so far came from an old battle-hardened networking guru: “Well, let them try”. We have a pair of 10GbE links between our data centers. We talked to a hardware encryption vendor who told us our L3 EIGRP DCI could not be used and we would have to convert it to a pure Layer 2 link. This doesn't make sense to me as our hand-off into the carrier network is 10GbE; couldn't we just insert the Ethernet encryptor as a "transparent" device connected to our routed port ? The whole thing obviously started as a layering confusion. Brad is routing traffic between his data centers (the long-distance vMotion demon hasn’t visited his server admins yet), so he’s talking about L3 DCI. Short summary: The DMVPN webinar (register here) now includes detailed EIGRP and BGP configurations guidelines and sample configurations as well as in-depth description of Phase 2 / Phase 3 behavior and scalability guidelines. I also made sure you don’t need any prior DMVPN knowledge. Tangential thought: B stands for Basics, S for Scalability. Any other interpretation is strictly prohibited. In the Multi-chassis Link Aggregation (MLAG) Basics post I’ve described how you can use (vendor-proprietary) technologies to bundle links connected to two upstream switches into a single logical channel, bypassing the Spanning Tree Protocol (STP) port blocking. While every vendor takes a different approach to MLAG, there are only a few architectures that you’ll see. Let’s start with the most obvious one: stacking on steroids. During my last Building IPv6 Service Provider Core webinar (register here) I got a lot of questions about IPv6 over PPPoE (obviously we’re close to widespread IPv6 implementation; I never got PPPoE questions before). I wanted to test various scenarios in my IPv6 lab and thus enabled PPPoE on an Ethernet link between CE and PE routers using the configurations I published last year. This time I wanted to test multiple configurations in parallel ... no problem thanks versatile PPPoE implementation in Cisco. SearchNetworking has just published my Building a Private Cloud article in which I describe why you have to consider a private cloud solution if you operate a large data center, and an overview of the path to get there. Data Center 3.0 for Networking Engineers (register here) describes the underlying technologies. Next-generation IP Services describes the principles of data center virtualization and cloud computing. Which webinar should I choose if I’m building a DC interconnect? As we’ve already discussed some of his DC issues, I knew that he’s in the “sane” part of the DC universe (pure layer-3 interconnect, no vMotion or bridging between data centers) and thus has to solve a traditional routing design challenge. For him, it makes no sense to wait for the DCI webinar; that one will cover the designs and technologies you need when everyone else is pushing you to implement long-distance bridging. It might also include LISP in DC and the load balancing tricks F5 does ... and I’ll try to give you as much ammunition as I can to help you persuade your boss that there are other things beyond bridge-everywhere craze. One of the many VPN technologies covered in the Choose the Optimal VPN Service webinar (register here) is DMVPN Phase 1. Phase 1 with its hub-and-spoke topology is the easiest DMVPN implementation and gives you a simple baseline that can be later expanded with Phase 2 and Phase 3 features (for in-depth DMVPN information check the DMVPN: Advanced and Crazy Scenarios webinar). The recording from the webinar describing technologies underlying DMVPN and DMVPN Phase 1 principles is now available on YouTube and Vimeo. Recently I’ve stumbled across a year-old post by James Ventre describing the reasons output rate on an Ethernet-type interface (as reported by the router) never reaches the actual interface speed. 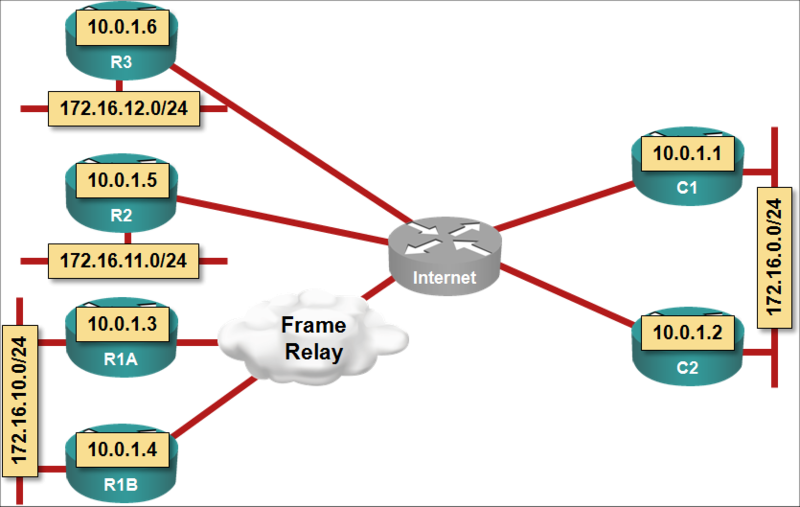 One of them: inter-frame/packet gap (IPG). I was stunned ... I remember very well the early days of thick/thin coax Ethernet when the IPG was needed for proper carrier sense/collision avoidance detection (probability of a collision decreases drastically as you introduce IPG), but on a high-speed point-to-point full duplex link? You must be kidding. Participants of my latest webinars might remember the concept of on-site workshops that I’m usually mentioning after the first break (it’s also mentioned in every webinar description). The networking team from a large multinational company has decided to test it in practice and invited me for a 3-day DMVPN workshop. Day 1: technology overview and review of the existing network design/challenges. Day 2: work on proposed new network design. Day 3: tying up loose ends and preparations for pilot/migration. We agreed on a tentative agenda along these lines and I prepared the material for the technology overview using parts of my Choose the Optimal VPN Service webinar (to compare DMVPN with other VPN solutions) and the DMVPN webinar. Oh boy, was I in for a surprise. Anycast in the load-balancing section (which also covers DNS-based load balancing, dedicated load balancers, Microsoft NLB and application-specific solutions). More details on multi-chassis link aggregation and VSS/vPC architecture in the LAN reference architecture section (other topics in the same section: port extenders and large-scale bridging, including TRILL, 802.1aq and FabricPath). Multihop FCoE and FIP snooping in the storage protocols section (other protocols described in this section: SCSI, FC, FCoE, iSCSI and DCB). As always, the attendees of the previous Data Center webinars will get access to the new recording and the new PDF materials. Ethan Banks is continuing his deliberations on going independent (or not). He’s definitely collected some very interesting feedback. Another great read from Stephen: a large dose of common sense hidden under the “Four Fundamental Best Practices for Enterprise IT” title. I wonder if the vendors touting TRILL and inter-DC bridging with long-distance vMotion ever got to the “Minimize Complexity” part, let alone “Align Expectations with Reality”. The “Hack The Stack Or Go On a Bender With a Vendor” tackles the age-old dilemma: build or buy, as it applies to the cloudy environments. Brad Hedlund continues his series of great UCS posts with the explanation of UCS Fabric Failover feature. Jeremy Gaddis documented his impressions of the Net Field Day 2010 event: day 1 and day 2. If you’ve missed NFD-related posts, Stephen Foskett makes sure you’re able to read them all via his Net Field Day 2010 Links page. Someone mentioned a while ago in a comment to one of my blog posts that the Nexus 4000 switch already supports multihop FCoE. Now that we know what multihop FCoE really is, let’s see how Nexus 4000 fits into the picture. The Cisco Nexus 4000 Series Switches provide the Fibre Channel Forwarder (FCF) function. Nexus 4000 is a FCoE Initialization Protocol (FIP) snooping bridge. A few days after writing my ATAoE post I got a very nice e-mail from Sam Hopkins from Coraid responding to every single point I’ve raised in my post. I have to admit I’ve missed the tag field in the ATAoE packets which does allow parallel requests between a server and a storage array, solving some of the sequencing/fragmentation issues. I’m still not convinced, but here is the whole e-mail (I did just some slight formatting) with no further comments from my side. One of the best presentations we had last week during the Net Field Day 2010 was given by Doug Gourlay from Arista. Their products have numerous highly interesting features; Terry liked their use of TDR and I was particularly delighted by the VM Tracer and decided to write about it as soon as I find some time (read: today). 2012-09-29: To keep the record straight: a few months after I wrote this blog post, Arista made most of the EOS documentation available online (as of today, it's latest version only, with no release notes). Chris sent me an interesting challenge a few days ago: he wanted to set inbound access lists on virtual access interfaces with RADIUS but somehow couldn’t get this feature to work. Uncle Google quickly provided two documents on Cisco.com: an older one (explaining the IETF attributes, vendor-specific attributes and AV-pairs) and the most recent one (with more attributes and less useful information) covering every Cisco IOS software release up to 12.2 (yeah, it looks like the RADIUS attributes haven’t been touched in a long time). According to the documentation, attribute #11 as well as AV-pairs ip:inacl/ip:outacl and lcp:interface-config should work, but the access list did not appear in the interface configuration. A few weeks ago I wrote about the multihop FCoE basics and the two fundamentally different ways an FCoE network could be designed: FCoE on every switch or FCoE on the edges with DCB-extended bridging in the middle. There are two other configurations you’ll likely see in access parts of an FCoE network: FCoE VN_port proxying and FIP snooping. The sorry state of the industry. My first impression: real networking innovation is gone. When I started writing about storage industry and its attempts to tweak Ethernet to its needs, someone mentioned ATAoE. I read the ATAoE Wikipedia article and concluded that this dinky technology probably makes sense in a small home office ... and then I’ve stumbled across an article in The Register that claimed you could run a 9000-user Exchange server on ATAoE storage. It was time to deep-dive into this “interesting” L2+7 protocol. As expected, there are numerous good reasons you won’t hear about ATAoE in my Data Center 3.0 for Networking Engineers webinar and I described a few of them in a blog post I wrote to SearchNetworking’s Fast Packet blog. I’m writing this post while travelling to the Net Field Day 2010, the successor to the awesome Tech Field Day 2010 during which the FCoTR technology was launched. It’s thus only fair to extend that fantastic merger of two technologies we all love, look at the bigger picture and compare storage networking with SNA. If you’re too young to understand what I’m talking about, don’t worry. Yes, you’ve missed all the beauties of RSRB/DLSw, CIP, APPN/APPI and the likes, but major technology shifts happen every other decade or so, so you’ll be able to use FC/FCoE/iSCSI analogies the next time (and look like a dinosaur to the rookies). Make sure, though, that you read the summary. I’ll use present tense throughout the post when comparing both environments although SNA should be mostly history by now. Reading and writing to a local disk. A while ago I had a chat with a fellow CCIE (working in a large enterprise network with reasonably-sized Data Center) and briefly described vMotion to him. His response: “Interesting, I didn’t know that.” ... and “Ouch” a few seconds later as he realized what vMotion means from bandwidth consumption and routing perspectives. Before going into the painful details, let’s cover the basics. I’ve been mentioning LISP several times during the last months. It seems to be the only viable solution to the global IP routing table explosion. All other proposals require modifying layers above IP and while that’s where the problem should have been solved, expecting those layers to change any time soon is like waiting for Godot. If you’re interested in LISP, start with the introduction to LISP I wrote for Search Telecom, continue with the LISP tutorial from NANOG 45 and (for the grand finale) listen to three Google Talks from Dino (almost four hours). Lossless Ethernet may be implemented through the use of some Ethernet extensions. A possible Ethernet extension to implement Lossless Ethernet is the PAUSE mechanism defined in IEEE 802.3-2008. The PAUSE mechanism (802.3x) gives you lossless behavior, but results in undesired side effects when you run LAN and SAN traffic across a converged Ethernet infrastructure. The emerging Ethernet bridging technologies have been hyped to an extent where the lines between them completely blurred, resulting in statements like “we need DCB and TRILL for FCoE”. Actually, none of that is true, but let’s focus on DCB and TRILL first. IT World Canada has recently published an interesting “Disband the ITU's IPv6 Group, says expert” article. I can’t agree more with the title or the first message of the article: there is no reason for the IPv6 ITU group to exist. However, as my long-time readers know, that’s old news ... and the article is unfortunately so full of technical misinformation and myths and that I hardly know where to begin. Trying to be constructive, let’s start with the points I agree with. IPv6 was designed to meet the operational needs that existed 20 years ago. Absolutely true. See my IPv6 myths for more details. ITU-T has spun up two groups that are needlessly consuming international institutional resources. Absolutely in agreement (but still old news). I also deeply agree with all the subsequent remarks about ITU-T and needless politics (not to mention the dire need of most of ITU-T to find some reason to continue existing). That part of the article should become a required reading for any standardization body.